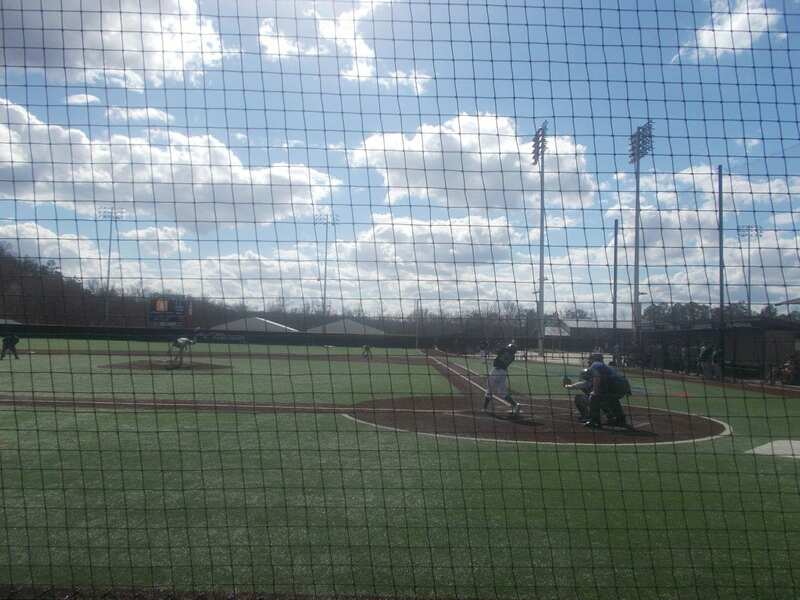 Yesterday, the PHS Dragons varsity baseball team traveled to Emerson, just outside of Cartersville, to compete in the Ga Dugout Club Tournament. This tournament, featured teams from different areas including the Dragons 6-AAAA region mate, Northwest Whitfield. Pickens, would be playing two games on this day. First up, the Roswell Hornets. Caswell Smith got the start for the Dragons in game one of the day. Smith, gave up two hits in the top of the 1st, but that would be all the damage the Hornets would do to start this one off. Pickens, got on the board early in the bottom of the frame as Jace Franklin would deliver a 1-out RBI single to put the Dragons up 1-0 going to the 2nd. In the top of the 2nd, Smith, collected his 1st K of the day, & needed only 9 pitches in the inning. The Dragons, would go in order in the bottom of the 2nd, to send us to the 3rd, Pickens ahead of Roswell, 1-0. The top of the 3rd, saw the Hornets plate two in the top half of the frame to take the lead, 2-1. Pickens, again went quietly in the bottom of the inning as we headed to the 4th, Roswell now on top, 2-1. Smith & the Dragons, would keep the defecit at a run after getting Roswell in the top of the 4th. Pickens, had a chance to tie things up in the bottom of the inning, but left a runner stranded at 3rd. We’d go to the 5th, Hornets leading the Dragons 2-1. In the top of the 5th, Roswell added to their lead by plating 5 runs in the frame. The Hornets, held a 7-1 lead over Pickens going to the bottom of the 5th. The Dragons, had a good scoring chance in the bottom of the 5th, but would leave two runners stranded on base, as we headed to the 6th, Roswell up 7-1. New Dragons pitcher Chad Pacas, who took over for Smith in the 5th inning, collected his 2nd K of the day and held the Hornets scoreless in the top half of the 6th. In the bottom half of the 6th, Pickens, did not get a single hit, but used would capitolize on a couple of Roswell mistakes, to plate 3 runs & trim the Hornets lead to 7-4, going to the 7th. Pacas, working his 2nd full inning of the game, kept the Hornets lead at 3, and sent us to the bottom of the 7th. Roswell, was able to hang on in the bottom of the 7th, to get the win, 7-4.